After knocking Rory McIlroy’s ability to close last week, the Northern Irishman finally gets the deal done at the Players Championship, one of the PGA Tour’s most important events of the year and a near major. Does this show that Rory has put all the missed opportunities behind him, or do you need to see more evidence? Jim Deeks, Fairways Magazine (@jimdeeks): (Ahem) As th’ only member of this here Roundy Table what picked Rory to win The Players, I was never all that concerned about his ability to win, or about the future of his career. I think we were all a little blinded by Tiger from 1997-2013, to assume that The Next Tiger would win as often and as dominantly as Tiger did. It ain’t that simple. But, as they pointed out in the telecast, Rory now joins an elite group of five (now six) players to have won 15 events before the age of 30. That solidifies his status as The Next Tiger and the dominant player of the day. But we should all expect him to NOT win when he contends, and to not contend in every tournament. I still say he racks up 40 wins and 6 Majors by the time his dancin’ days are through. And in the meantime, what a privilege to watch he is! Craig Loughry, Golf Ontario (@craigloughry): Rory struck his ball beautifully with the but for a couple of holes. Honestly though, if he could putt, he’d run away with more tournaments. I still see that being the case, he just happened to putt a little better than average this week and ended up on top. If he putts better than average on any week, he’ll win, his ball striking is that exceptional. It feels like he’s been on Tour forever, lets remember he’s only 29, so maybe he’ll figure this putting thing out. Dave Kaplan, Freelance Writer (@davykap): Well he wasn’t technically in the final pairing, so . . . just kidding. As I said last week, McIlroy’s stretch of coming up just short was too small of a sample size to make any type of declarations about the states of his game or psyche. Plus, he won so I’m not entirely sure what other evidence anyone would need to see in order to be more convinced. I’m just glad the media will be off his back for a little while now so that Wee-Mac can shift his attention entirely to Augusta National and finally wrap up that elusive career grand slam. 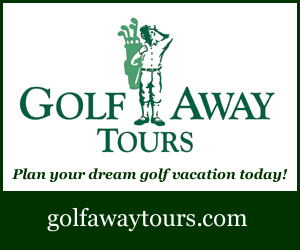 TJ Rule, Golf Away Tours (@GolfAwayTJ): Let’s face it, it’s hard to win on tour. So, the fact that he only closed one out of the six tournaments he has contended in this year isn’t completely out of the ordinary. But it also doesn’t mean he’ll continue to win each time he’s in contention. I do think he’ll ride this wave into a multi-win season, including a major, and solidify himself as the best player in the world. 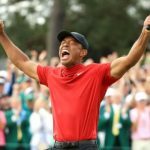 Hal Quinn, Freelance Writer, Vancouver: His post-round press conference Sunday evening was vintage McIlroy — thoughtful, articulate, and honest. A couple of months short of his 30th birthday, as he expressed, he has found a mental and emotional pathway to consistency. He’s not reading his press clippings, he’s trying to not let his game define his life and he has put the so-called missed opportunities in their place as signposts on a long journey. I think he’s going to be incredibly fun to watch for a long, long time. Peter Mumford, Fairways Magazine (@FairwaysMag): I don’t think there was any long-term concern about Rory but it’s always an issue when a very good player goes into a slump. Great ones like Nicklaus and Woods seemed to win every time they were in contention. 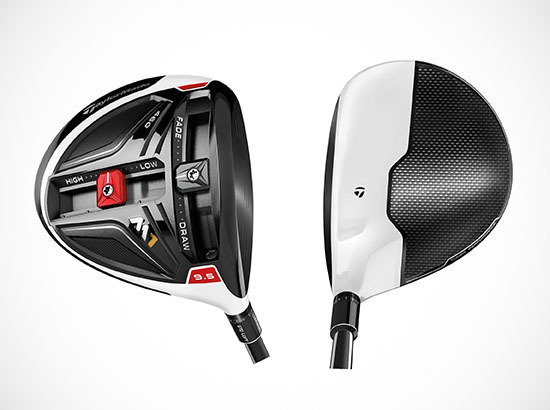 McIlroy may not be in that same league yet, but along with Dustin Johnson, he’s close. This win is a huge shot of confidence at a key point in the schedule. The 17th hole at TPC Sawgrass has been the scene of great drama over the years, from holes-in-one to amazing putts to balls in the water, leading to spectacular victories and agonizing defeats. Is there another hole in golf as dramatic or as pivotal to a championship as the island green at TPC? 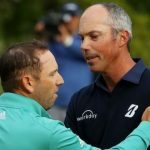 Deeks: I was thinking all the way through the Saturday and Sunday telecasts, this tournament may now have surpassed The Masters — at least IMHO — as the most predictably dramatic and exciting event in golf. 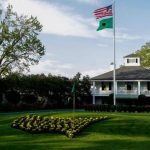 The Masters — with or without the sleep-inducing broadcast crew — can sometimes disappoint when there’s a runaway winner, or when there’s a bunch of how-did-HE-get-there guys contending. Parring in at Augusta often wins the day. 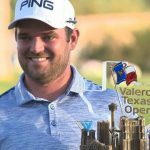 But at TPC, boy, your lead is never safe until you’ve putted out on 18… and if there’s a guy lurking within one or two shots on 16 tee, he still has a chance with a stellar finish. But that 17th hole, jeez… if you’re either chasing or holding on, you simply cannot screw up that tee shot! I can’t think of any hole anywhere that creates SO MUCH gut-wrenching drama on a Sunday afternoon. 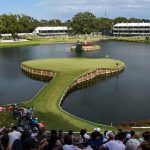 Loughry: The 17th at Sawgrass is a pretty special one. 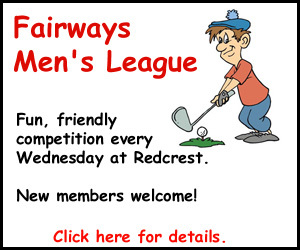 Coming late in the round, can mean so much, and you just have a wedge in your hand, no problem, right? But we see disasters happen every round and every year. Or a pivotal birdie made to get in contention or get some breathing room. It’s just the death penalty if you don’t hit the green. Is there another hole with like this, that provides so much versatility and drama? No, I don’t think so. A few at Augusta come to mind, but not quite the same as #17 at Sawgrass. 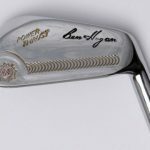 Kaplan: Augusta National’s 12th hole, Golden Bell, is certainly as dramatic and pivotal, although it doesn’t come right at the end of your round like the Sawgrass’s 17th does. I think you can also make a case for any of the three Bear Trap holes, but 15 at PGA National always stands out to me as a perennial round-ruiner whenever I watch The Honda Classic. Rule: It certainly does add a lot of drama to the tournament, especially being the second last hole and a do-or-die shot. It’s pretty penal in my mind and I’m not a huge fan of do-or-die holes, but since these guys are just hitting wedges in there, it shouldn’t be too hard to avoid a big number, unless you’re Tiger, I guess! It’s hard to think of a hole that would generate as many swings in scores in a big tournament such as 17 at Sawgrass. Lots of birdies, as well as a fair share of “others”. The 13th at Augusta has a similar impact on the tournament given it’s a decent eagle opportunity, but has trouble written all over it! 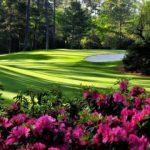 Quinn: Because we get to see it every year, and every year it either provides highlights or helps decide the winner (and/or losers), I like Azalea, the 13th at Augusta National, much more than the 17th at TPC. The tee shot is fabulous, the second over Rae’s Creek exciting, and the undulations in that green set up eagle putts or three putts. Sorry Alice, the 13th beats your 17th by a long shot (so to speak). Mumford: I can think of only two holes that offer similar drama, but neither are so close to the end of a round. The 10th at Riviera confounds the players every year and yields some odd scores but still leaves time to make up any deficits. 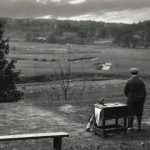 Similarly, the 15th at Augusta allows players to make a key birdie or even eagle as part of a Sunday afternoon charge, although not without all sorts of peril lurking. Being the penultimate hole at Sawgrass, plus the pressure, plus the degree of difficulty, makes the 17th incredibly daunting. And it’s only 137 yards! 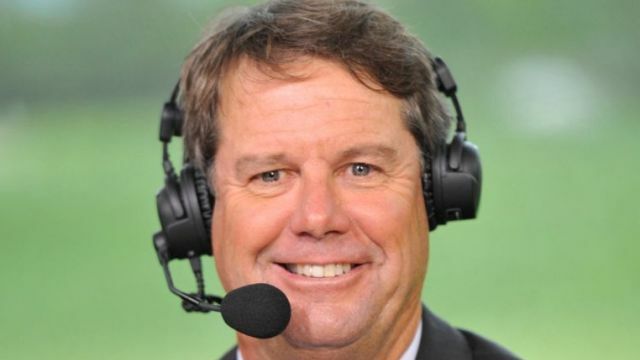 Paul Azinger replaced Johnny Miller as NBC’s lead golf analyst in early February and has had a handful of tournaments to find his groove. How would you rate Zinger so far and are there areas where you think he could be better? Deeks: I was looking forward to Zinger’s arrival and he hasn’t disappointed. He’s still finding his groove, though. He relies a bit too much on irrelevant statistics (“he’s missed 12% of greens where the pin is tucked in the back…” Hunh?) and hasn’t really allowed himself to state a strong opinion yet, like Miller did. Much of what he observes is pretty obvious. 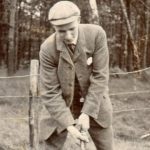 But I find him more interesting, and less into himself, than Faldo, who tends to criticize players when they don’t play the shot the way he would’ve. Who cares, Nick? I look forward to Zinger growing into the job, and many more years of his analysis. Loughry: Zinger is alright, he’s been up there before a few times before so he’s not a complete rook. He does offer the odd interesting insight. Overall, I like him, and he’ll mature with a little more practice, so I hope they stick with him in the booth. Kaplan: I wouldn’t know because I mute the broadcasts whenever I watch golf these days to listen to a bunch of old Grateful Dead concerts. The last month or so, I’ve been cruising through the band’s run from the fall of 1973 and it is some good stuff! I highly suggest YouTubing the band’s November shows from the Winterland that year. Beats the hell out of Gary Koch and Roger Maltbie any day of the week. Rule: I like Zinger for the most part, he’s insightful despite not being the most exciting guy on the air. Generally, I agree with most of his view points and enjoy his insight into the game. He was a bit off base a couple of weeks ago when he called Molinari’s win at Bay Hill his “biggest moment” of his golfing career, apparently bigger than his Open, perfect Ryder Cup, WGC, etc. But we’ll give him a pass on that one, assuming those victories just slipped his mind! 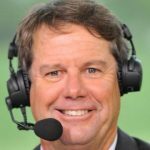 Quinn: If the Players’ Championship was an audition, Azinger wouldn’t get a call back, even from a local cable outfit. His desperate reach for a mocking slight equal to Miller’s ‘choke’ was stomach turning. Early Sunday as great young players like Ancer and Schniederjans were playing superbly, his first comment was: “Ya, but wait till they see their names up on the leaderboard with a chance to win.” What a fatuous jerk. Whenever I was slow on the mute button (Dan Hicks is as inarticulate as he is insufferable and who needs Jimmy — after age 13 it’s Jim or James — Roberts having so-called thoughts while the world’s best are making shots? ), Azinger added absolutely nothing but irritating statements of the obvious. Nurse! Mumford: I’d give Zinger a C+ so far. His biggest failure seems to be that he’s trying too hard to fit in with the rest of the NBC crew. Unfortunately, that makes him all but indistinguishable from Gary Koch, Roger Maltbie, etc. When Johnny Miller was there, he was clearly the lead, and everybody took their cues from him. Azinger has not established himself the same way and I’m not sure he ever will. Unfortunately, that seems to give Koch even more license to drone on. Although Azinger likely commands respect from the players, he doesn’t seem to know them as well or work as hard as Miller did at understanding what they’re thinking. Greg Norman made the same mistake of relying too much on his own experience when he was lead analyst at FOX. We all know how that turned out.